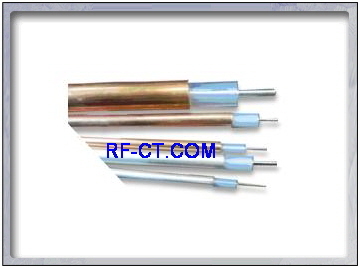 Aluminium Jacketed Semi-rigid cables of RFCT are the best choice for RF microwave transmission available. 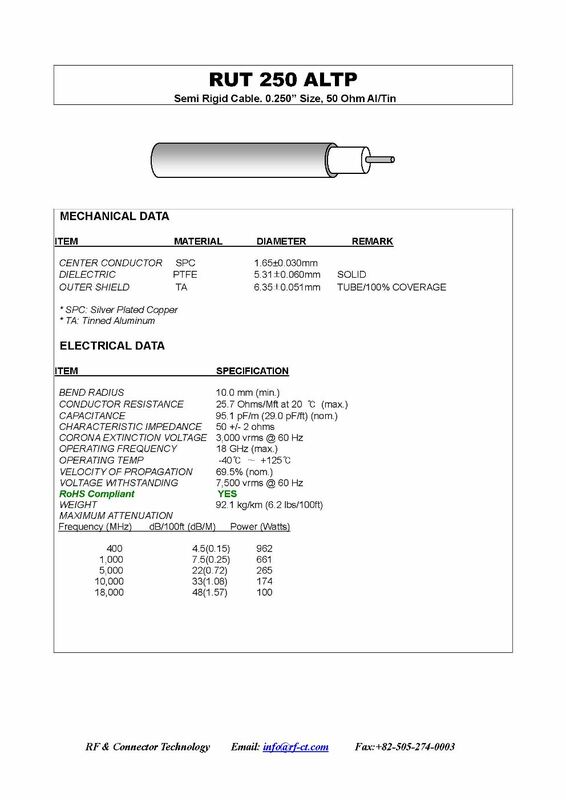 The tubular outer conductor yields 100% RF shielding and enables the dielectric and center conductor to remain precisely spaced. This results in optimum impedance control as well as the lowest possible I/L and weight to size ratios. The basic considerations for using semi-rigid are the availability of bend tooling, the difficulty in routing and the need to reform the cable. This aluminum jacked cables, which are typically tin-plated for solderability enable repeated bending and hand forming. They are excellent choices when the performance of semi-rigid is required, together with flexibility to hand-form in place.